The Kunsthalle complex on Mannheim’s most beautiful square which has developed over the last century comprises Hermann Billings’ art nouveau building, built in 1907, and the Hamburg firm gmp – von Gerkan, Marg and Partners’ Hector Building, completed in 2017. 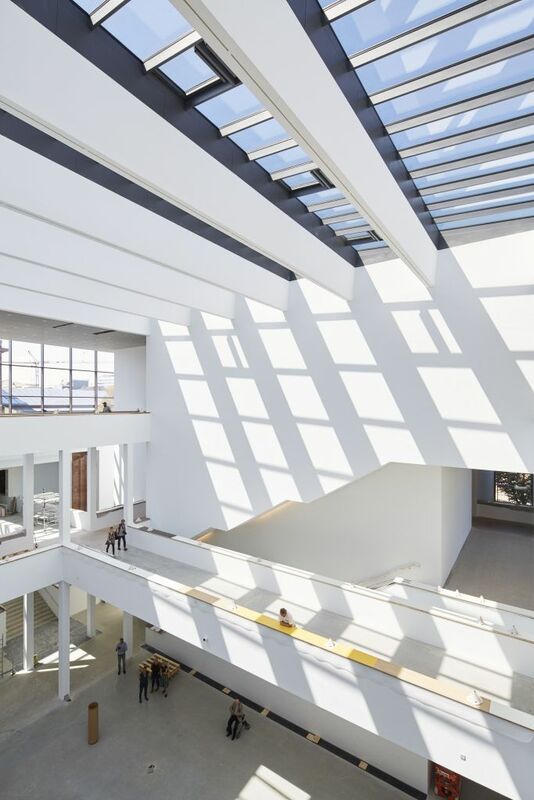 As programmatic museum building concepts, the two architecture styles could not be more different: One is light-flooded, timeless, open, and urbane, the other structurally expressive and imposing. On Skulpturenplatz, red Main sandstone glows when the sunlight hits its south-facing façade. On Friedrichsplatz, an intricate metal arch envelops seven exhibition spaces, grouped around a central, 22-meter-high atrium. A treasure trove and a market square, all in one place: A city within a city, filled with art spanning two centuries and surprising digital innovations. 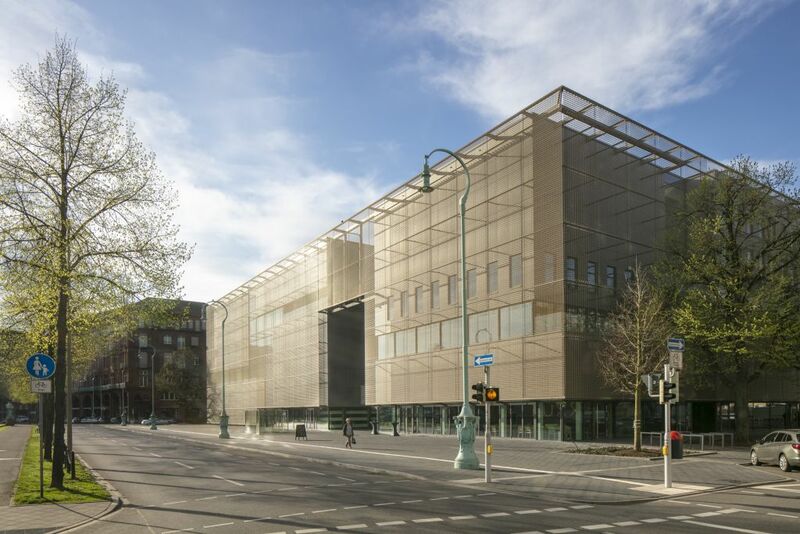 The Kunsthalle is a fascinating meeting place for people of all generations and cultures, offering inspiring artworks and contemporary debates housed in a unique architectural ensemble – an unforgettable experience. Urban and flooded with light: The Kunsthalle’s new building distinguishes itself fundamentally from conventional ideas of a museum. The design concept plays on Mannheim’s historical chessboard-layout: Conceived as an open city within the city, the tailor-made architecture reclaims the dynamism and essential elements of urban space. Seven exhibition spaces frame a central square covered by a 22-meter-high glass roof. 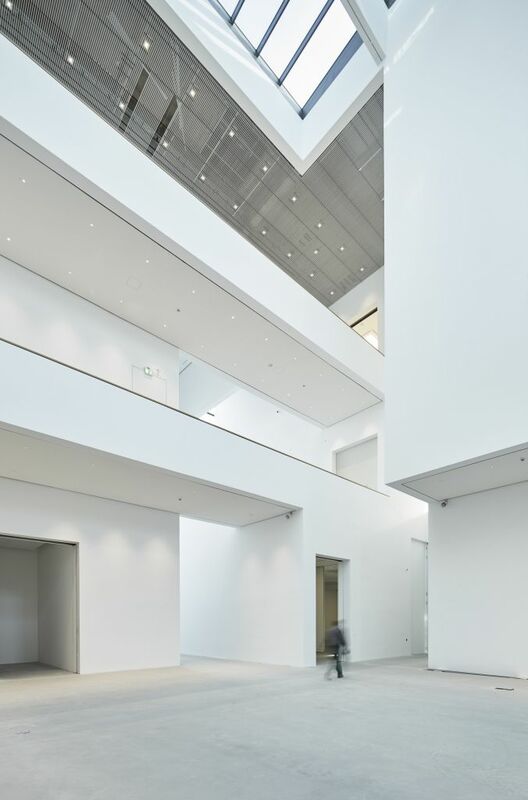 Thirteen galleries of varying dimensions – called cubes – are connected via bridges, staircases, and terraces, resulting in a 3,600 square-meter space devoted to modern and contemporary art. 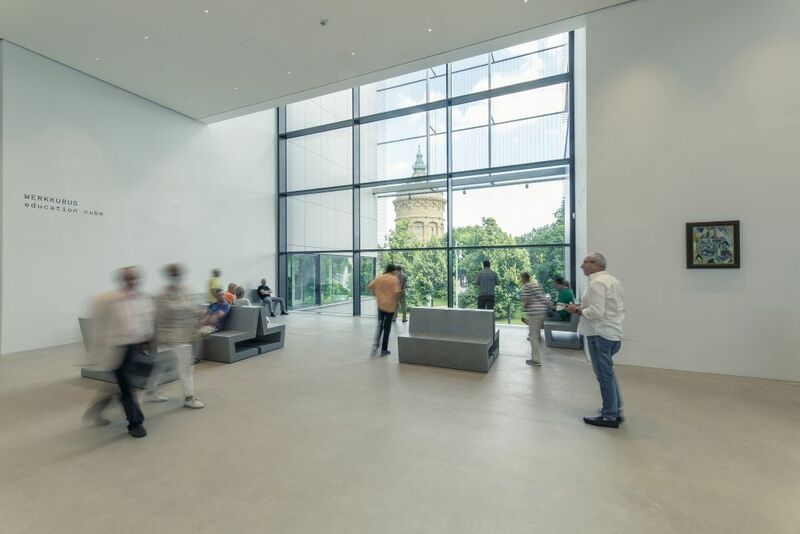 Enormous windows provide interior and exterior views from all sides and integrate the Kunsthalle into the city. A transparent metal arch envelops the spectacular building complex. 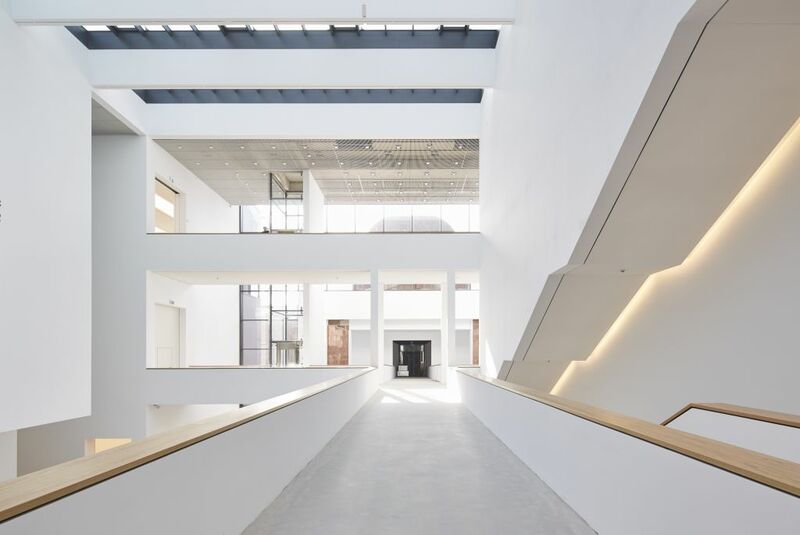 Currently the most significant new building to be planned for an art museum in Germany, the initial phase of construction was made possible with a no-strings donation of 50 million euros from SAP co-founder Hans-Werner Hector. 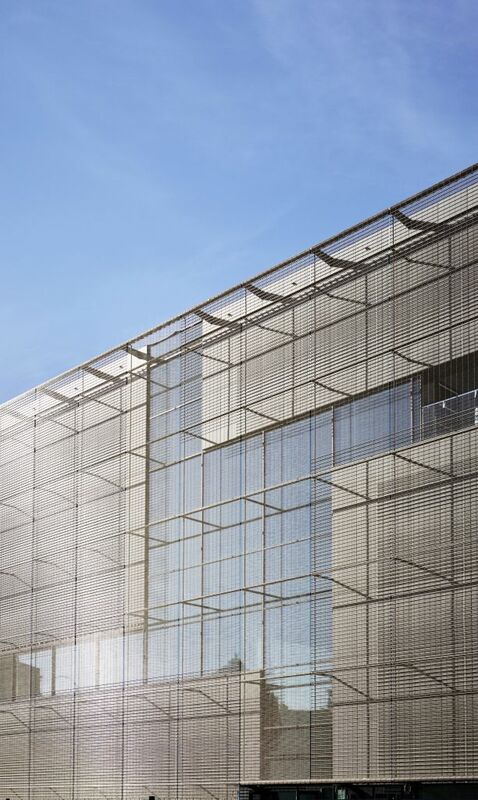 The design for the building was provided by the Hamburg-based firm gmp – von Gerkan, Marg and Partners. 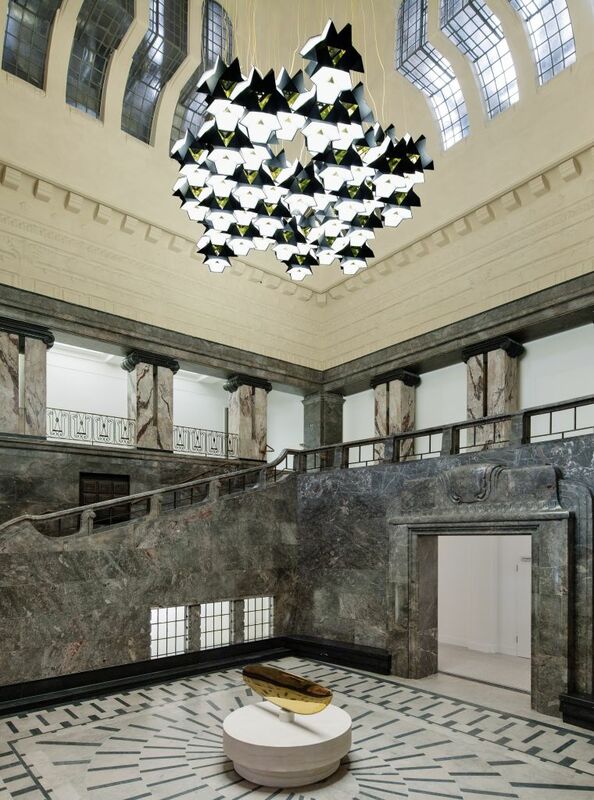 The independently founded Kunsthalle Mannheim Foundation acted as contractor. The construction budget amounted to 68.3 million euros. Within the framework of an exemplary private-public partnership, private donors, the city, and the state will invest approximately 70 million euros in total in the groundbreaking architecture and an innovative digital strategy. The Kunsthalle Mannheim is a museum in motion. An institution that moves people – both in the figurative and in the literal sense – and constantly stays in motion itself, constantly changing along with its audience. 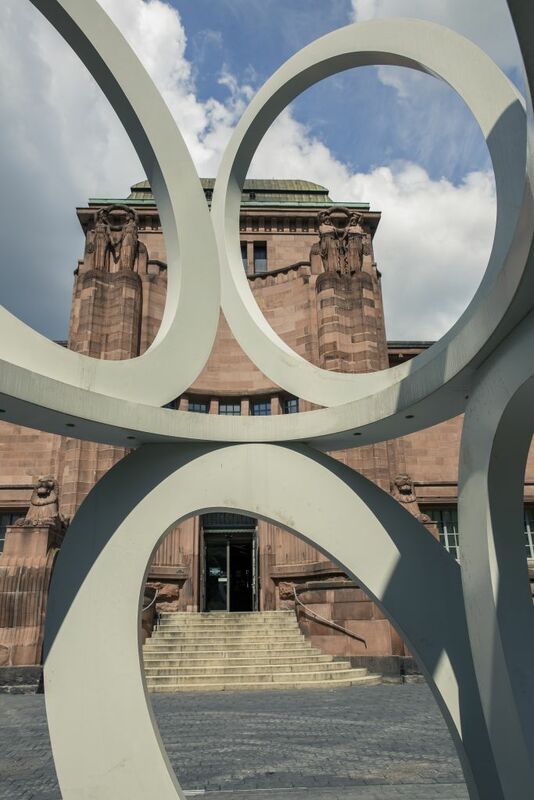 Through its architecture, activities, and a fascinating mixture of experiences, the Kunsthalle unites the city and society. The accessible street-level entrance entices people to come into the atrium, free of charge, and invites the visitor to enjoy a relaxed stroll through the different atmospheres and changing themes of the exhibition cubes, through to the LUXX restaurant, into the museum shop, onto two roof terraces, and into the art nouveau building. 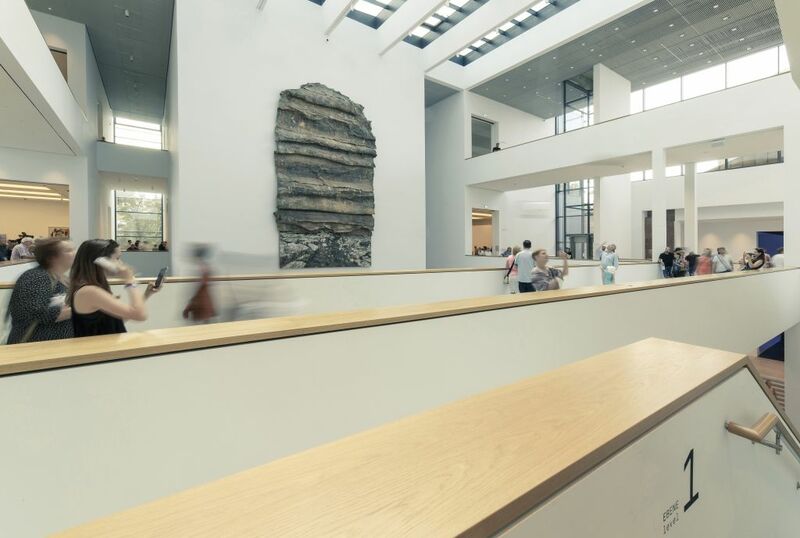 The concept behind the museum is directly tied to the democratic maxim that underscored the founding of the museum: a Kunsthalle for all – a place open to the world and a public space which invites people across all generations and cultures to bring their views and ideas and be inspired to consider things in a new way. Exhibitions and artist projects are methods of prompting discussions and intellectual exchange. Art becomes a form of nourishment, an opportunity for communication and participation rather than solely looking to the grand narratives of art history. The Collection Wall, Creative Lab, and Personal Museum Catalog intensify interactive discovery and participation. A new experience of art and museums becomes part of the everyday. 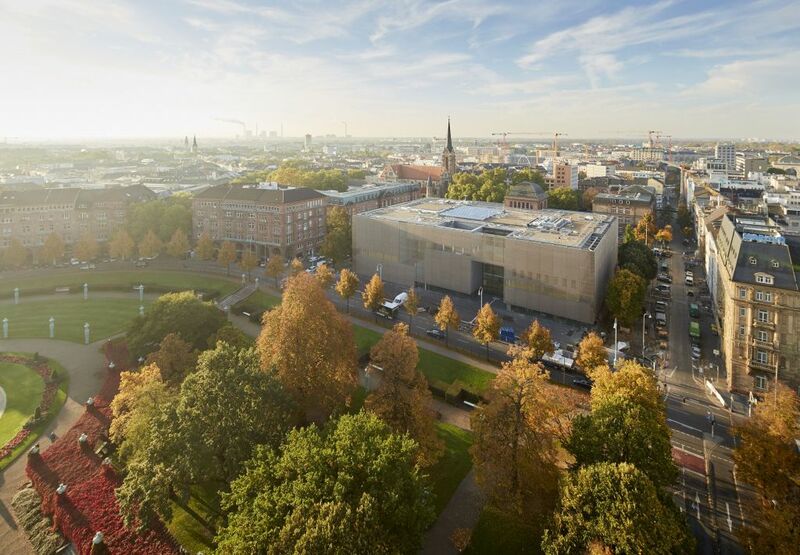 In July 2012, fifteen distinguished judges and an eight-person advisory council selected the three best submissions in the international competition to win the contract to design the Kunsthalle Mannheim’s new building. Their selections were: von gmp – von Gerkan, Marg and Partners, Peter Pütz, and Volker Staab. Five further entries were named runners-up by the jury, including Annette Gigon/Mike Guyer, Ortner & Ortner, and Rafael Moneo. 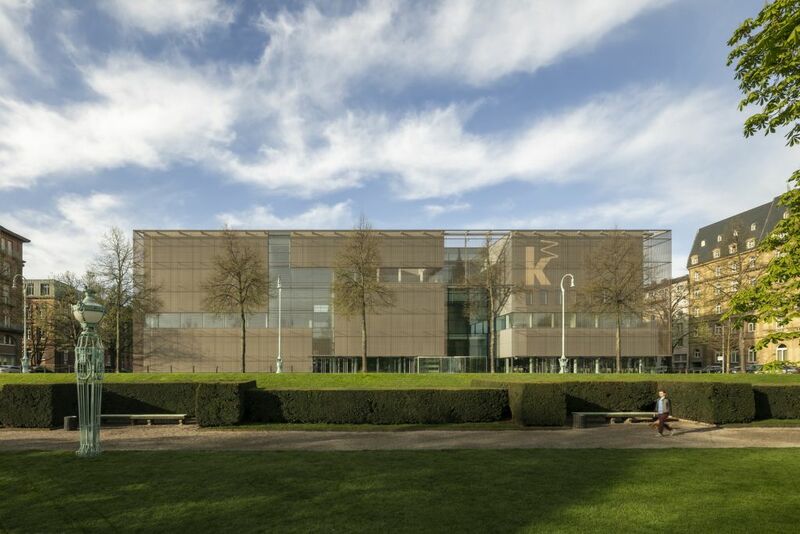 In total, twenty-nine architects, alongside twelve invited museum planners, had taken part in the anonymous, two-step process, among them David Adjaye, David Chipperfield, SANAA, Zaha Hadid as well as two Mannheim-based companies and three recently established firms. In December 2012, Hamburg-based gmp, Germany’s largest architectural group, emerged as the winning entrants. The independently founded, private Kunsthalle Mannheim Foundation took on responsibility for the realization and budget for the project. The foundation stone was laid in March 2015. Just under three years later, the Hector Building was handed to the city of Mannheim as a gift on December 18, 2017. 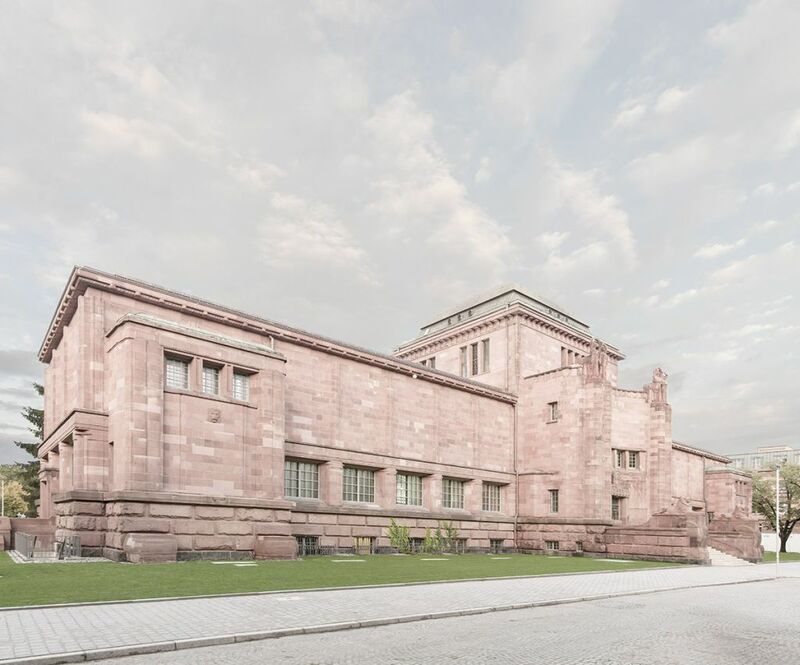 The Kunsthalle Mannheim’s historic original building was constructed in 1906–07, designed by Hermann Billing on the three-hundredth anniversary of the city for the International Exhibition of Art and Horticulture. 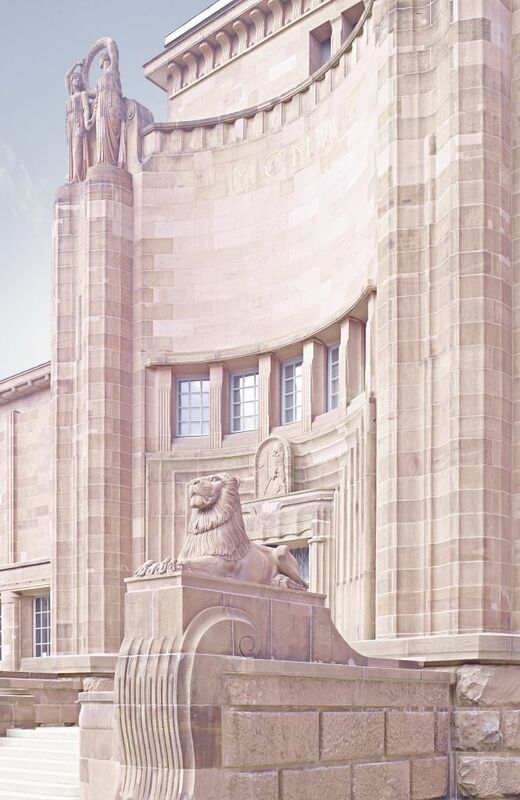 The well-known Karlsruhe architect designed a gallery building with two wings, a central domed hall, and an imposing entrance flanked by a pair of lions carved from Mannheim’s characteristic red sandstone. Surprisingly, the art nouveau building faces away from Friedrichsplatz – Mannheim’s modern center – to allow space for a prominent museum “temple” that was intended to sparkle there. The Reiß siblings had already donated their entire fortune to their hometown in 1902. Billing’s architecture, featuring glass ceilings and solid side walls to facilitate the hanging of paintings, complied with the most progressive museum standards of the time. 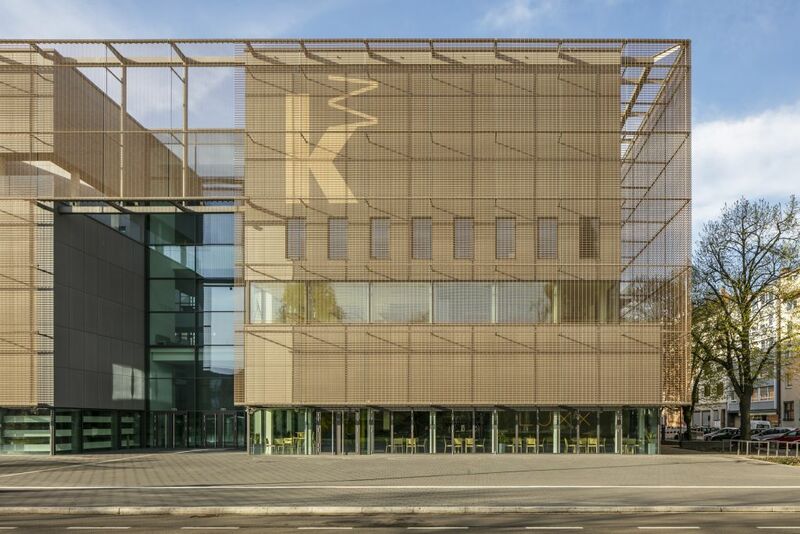 The name “Kunsthalle” underpins the founding mission statement declared in 1909: The industrial city, the place where cars and bicycles were invented, would now dare to engage with contemporary art. To this end, the young Fritz Wichert developed the visionary concept of a “museum of meaning,” one that focused on the quality and singularity of its contents rather than adhering to a strict historical system. His Kunsthalle was not only notably committed to the artistic avant-garde and aesthetic, humanist education, but also contributed to Mannheim’s economic development as a city of culture.